The closed mental healthcare accommodation, constructed in the wooded area of Altrecht, is designed to create a quiet residence for its inhabitants, with a close relation to the surrounding nature. 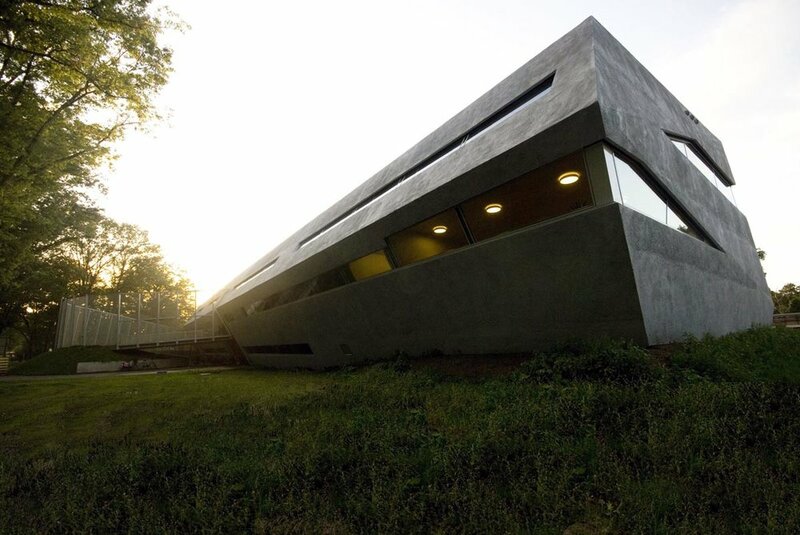 With the intention to create a very compact building surrounded by forest, a narrow four-storey volume is created. On the two upper floors, the patient rooms are organized in four living units, all with a view to the forest. The ground floor contains office spaces, and therapy rooms and a gym are located in the sous-terrain. A secured garden is created on either side of the building. Housing delinquent, lightly mentally handicapped persons with heavy behavioural disturbances, an important requirement from the client was that damage-resistant materials must be used. 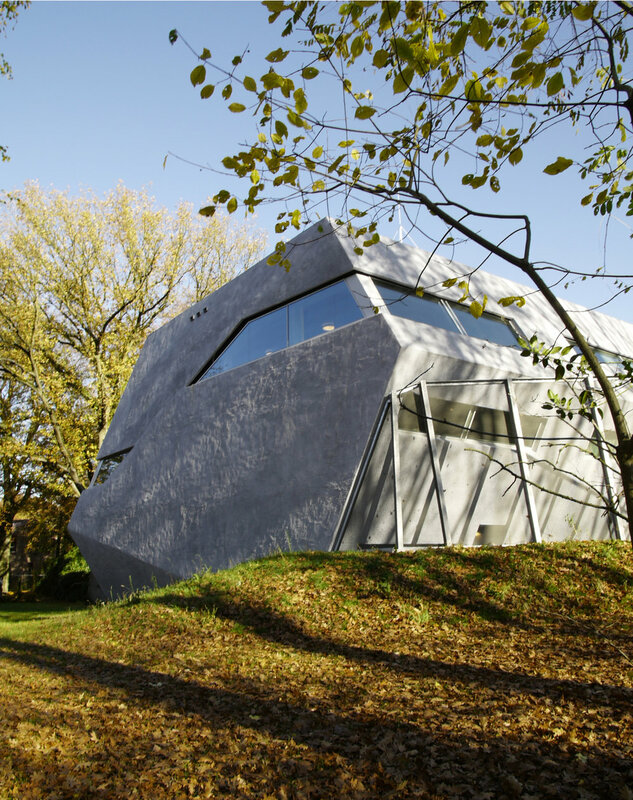 Sprayed concrete has therefore been chosen as material for the façade, which will furthermore enhance the appearance of a chiselled, solid volume – with time resembling a mossy rock lying in the forest.